It was raining lightly again today. Some good recent articles and photos. 2 Responses to "Earthquake 6: latest articles"
Thanks Carina and thanks for all your translations about it. Thanks for sharing these very interesting articles Niall. The grandson who managed to keep his grandmother alive. The poor elderly people who sure didn't know what was happening to them. 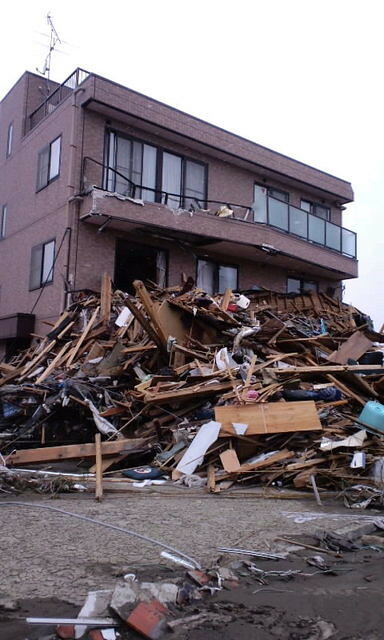 The tragedy in Rikuzentakata,not knowing if the loved ones are dead keeps them hoping and so they never will really rest.The brave nuclear samurais. And the great article about nuclear power. The information about how to help and the reassuring graphing about radiation.